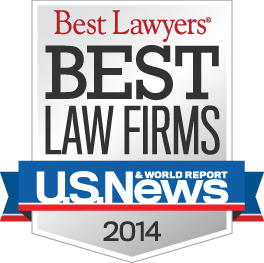 Van Ness Feldman is pleased to announce the firm has again been named a “Best Law Firm” in Energy, Environment, Government Relations, Land-Use & Zoning, Litigation (environmental), Native American, Natural Resources, Real Estate and Water Law in rankings released this month by US News & World Report and Best Lawyers. The firm is also pleased to announce that its Oil & Gas practice has received an inaugural national ranking. The firm now boasts four practice areas ranked as Tier 1 nationally. Van Ness Feldman has also been recognized by Chambers Guides to the Legal Profession, Legal 500 USA, Environmental Finance, Best Lawyers, and Super Lawyers. With over 115 professionals in Washington, DC and Seattle, WA, Van Ness Feldman focuses on law and policy relating to energy, the environment, health care, natural resources, land use, and real estate. The firm helps a broad, national range of clients successfully navigate the complexities of developing, maintaining, and operating natural resource, energy, infrastructure, and sustainable real estate projects. In February 2012, Van Ness Feldman expanded its capabilities by combining practices with the Seattle law firm of GordonDerr LLP, a preeminent real estate, land use, water law, and civil litigation firm in the Pacific Northwest. Learn more at www.vnf.com.